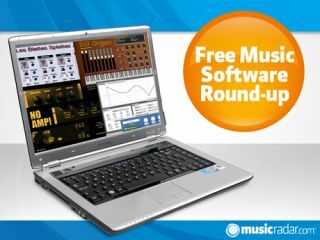 We have another varied list of effects and instruments for you this week - in the latter category, there's a drum sampler and a virtual organ. New vibrato, amp and filter plug-ins are on the agenda too, and there's also something for anyone who's running short on inspiration. The name of this simple plug-in alludes to the fact that it's a vibrato effect. The shape, depth and speed parameters are adjustable, and there's also a wet/dry knob. The author admits that Wobbles hasn't been widely tested (in fact, the AU version is currently offline after problems were reported), but says he'll update it with additional features if the demand is there. Les Blattes doesn't make too many bold claims about Splatte - merely that it's a "simple and straightforward" 12-slot drum sample player. A set of sounds comes included to get you started, but you can import your own 16- and 24-bit WAV files. Controls are basic, though handily, there are eight stereo outputs. Based on a "famous hardware stompbox" (we're guessing a model by Sansamp), this virtual pedal offers you three amp tones, three "mods" and three cabs, which equates to a total of 27 possible configurations. There are various controls, and each parameter supports MIDI learn. Drawbar organs are surprisingly popular on planet freeware; this latest model has nine oscillators, vibrato, chorus and reverb. Thanks to the presence of both sine and saw waves, you're said to be able to produce a wide range of tones, including church, Hammond and Farfisa-style organ sounds. Designed to enable you to create volume, pan and filter modulations, the second version of FilterShaper is now available. It now supports parallel filter routing and comes with a more user-friendly interface. This 'free' version is officially a demo - you can only use one instance per song with the built-in presets - but it's fully-functioning enough to be included here. This "arrangement utility" is basically a step sequencer combined with a chorder. The idea is that you can "try out chord combinations and see how your melodies will sound with different chords applied to them, or just jam away". It's designed for those who are suffering from writers' block or people who seem to spend more time twiddling knobs than actually making music.